Your children's swing set requires the skill and dedication of installers who specialize in swing set and play set construction. That is exactly the talent Big Helpers will bring to your assembly project. 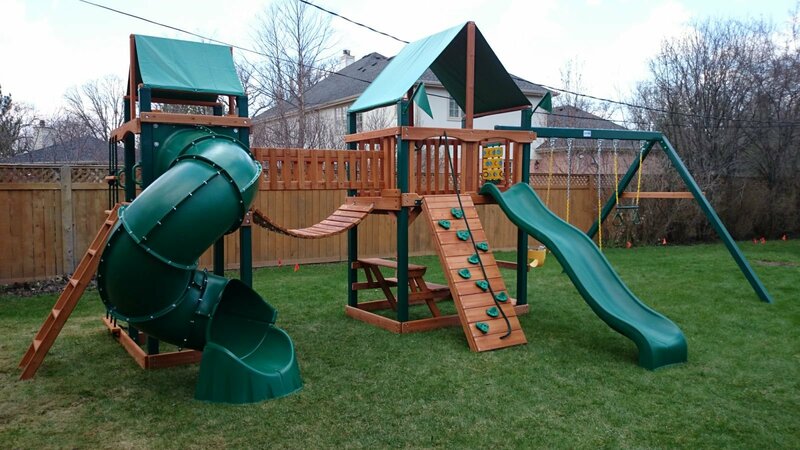 We have built hundreds of swing-sets from nearly all of the major manufacturers including: Cedar Summit, Backyard Discovery, Rainbow, Swing-N-Slide, Gorilla, Play Star, and many more. Additionally, we can dismantle and reassemble swing-sets. If you desire to move a swing set from one location to the other, we would appreciate speaking with you and learning more about your project. Thank you so much! *Please note most wood swing-sets require two assemblers. 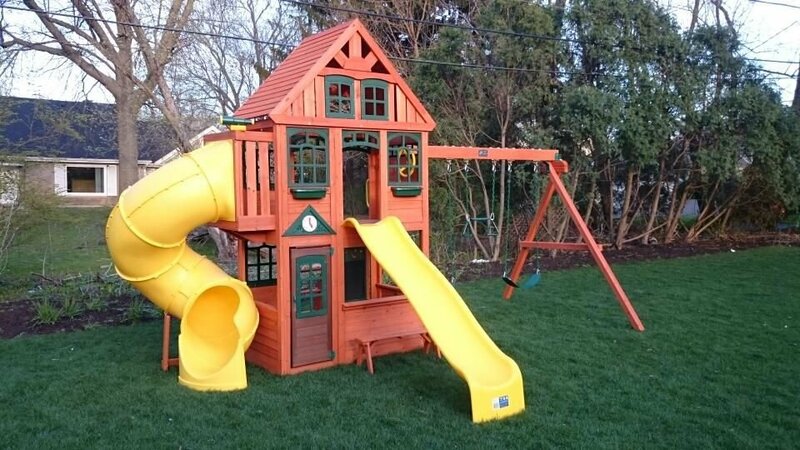 *Depending on the size/components on a wooden swing-set, projects can range from 4 to 8 hours for a standard swing-set and about 8 to 14 hours for large/advanced swing-sets with 2 experienced and professional swing-set assemblers. 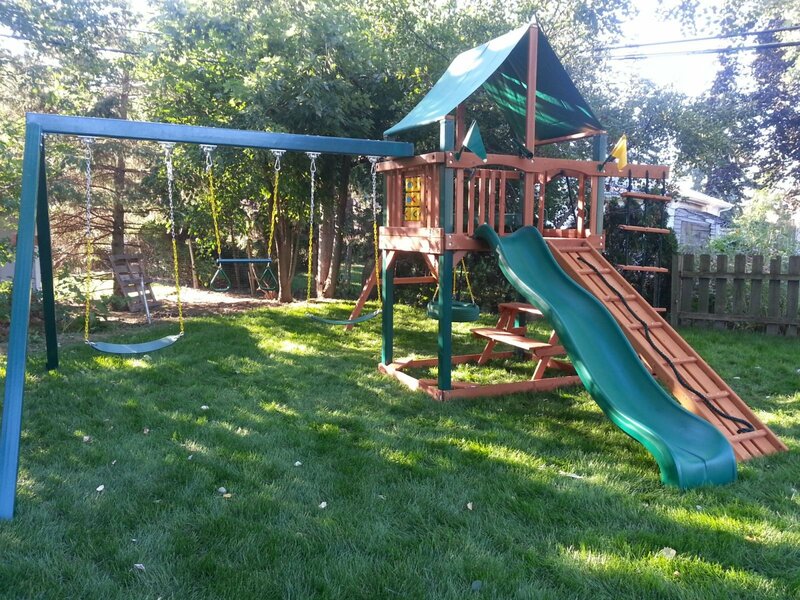 Pre-measure the area to insure the swing-set and the required safety clearances are met before purchasing a swing-set. Please insure that the yard is not on a slope/angle or near water. If the yard is not leveled or is on an angle please have the area leveled prior to booking. Please cut the grass as low as possible and remove any dog droppings prior to our arrival. If you are planning to place wood chips/recycled rubber chips, please wait until after the swing-set is assembled to place on ground. Open all boxes to inspect for any damaged items. If any items are damaged and/or missing, please call and order any broken/missing parts before our arrival. Please turn off and/or alert our crew when on site of any automatic water sprinklers in the yard. Please be aware that all swing-set assemblies are weather sensitive. We will do our best to book your assembly on non-rainy day to avoid cancellations. You can also book your Swing Set Assembly Appointment online 24/7.